Okay … so I … Kelly Haberstroh … have jumped on the digital scrapbooking bandwagon … now I have done an online album before … waaaaaayyyy back in the day when we lived in Guam … before this was SOOOOOO COOL!!! lol … So, technically this is not my first try … ;) … no laughing please … I am not a pro!!! … I so need to find more freebie downloads … hubby would KILL me if I found something else to spend money on … HAHAHAHAHAHA!!!! Very cute!! I have not found the addiction to jump into digi scrapbooking yet. I think I would miss doing my own embelishments. I heard its fun though! Very cute. I think you did a great job. I have tried to go digi, but I just don't get it. LOL! That turned out so neat! It's hard to believe that's your first digital LO! Great job with your digital page,it looks great! 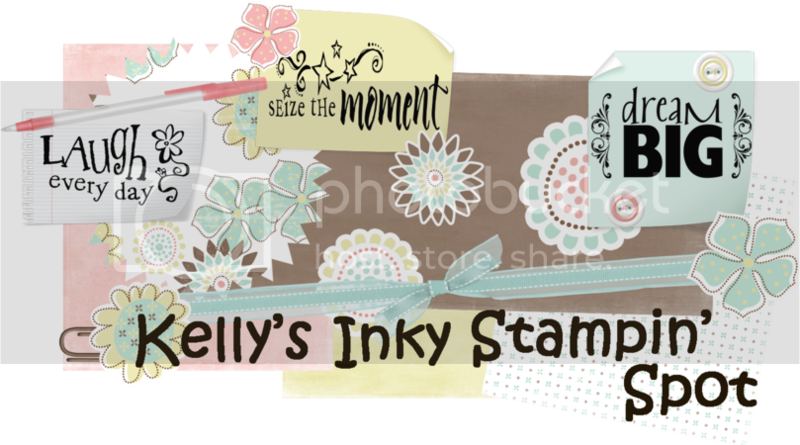 I'm glad you get Digi scrapbooking! B/c I sure don't lol!!! Great job. I soooo about fell off my chair when I saw the word "scrapbooking". I remember once upon a time you did a tad bit of scrapping but gave it up! I love this layout...I actually wanted to try the digital but it just seems so overwhelming. Great job Kelly! Love your page...tfs!!! I think it turned out cute - good job!